How can we navigate safely through our turbulent times? Personal revelation is one key! Elder Gerald N. Lund, million-selling author of The Work and the Glory, offers profound insights about how personal revelation “works.” Learn how we can increase our ability to receive and recognize personal revelation, what we can do to avoid being misled, and many other ideas relevant to this tremendously important spiritual gift. At the beginning of the Doctrine and Covenants we read of a timeless and universal truth: "The voice of the Lord is unto all men" (D&C 1:2). The heavens are not closed, God is not silent, and each of us can, individually, receive specific and personal revelation from God that can bless us with direction, insight, and comfort. But though we may recognize the need to have personal revelation to guide us in our life, many of us struggle with some fundamental questions: Do we recognize the various methods God uses to speak to us? Are we familiar with the guidelines that govern receiving spiritual promptings — and how can we really tell that it is the Lord speaking to us? How can we hear the voice of the Lord more clearly, more directly, and more frequently? 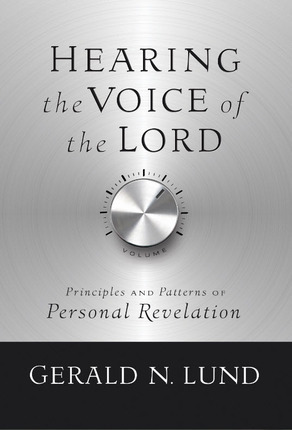 Hearing the Voice of the Lord provides profound insights into both the doctrine and the application of personal revelation. The Lord is speaking to us. Are we listening? it was a very great book on Revelation, types of Revelation, and how to recognize it for yourself. I really loved the writing style and stories that were shared, I may actually buy this as a hard copy for future study. Opens up the horizons of understanding revelations. There are so many aspects of "hearing the voice" of the Lord. It helped me to more fully realize that we receive far more revelation than we give credit for. Most good, positive thoughts come from the Spirit. The Lord, through the Holy Ghost, is constantly communicating to us. We just need to listen with our spiritual senses more often than we do. As a Bishop, this book has help me to listen more intently to the thoughts and impressions I receive. As long as we are living the commandments, revelation is "free-flowing." As we try to remove the clutter of our mind, and listen, it is on-going truths. Thanks Elder Lund! I received a strong negative feeling reading chapter one. On page 6, under an italicized heading, "I Was So Sure," Elder Lund relates a true story that leaves the reader stumped, disturbed, teased, perhaps upset. This is so needless, in that he could have given at least a tentative conclusion—or resolution to the story. Instead, he leaves the reader hanging and frustrated with a critical concern unresolved. A needless tease, maybe intended to motivate the reader to read the following 354 pages to find an answer to a pining mystery. This was a huge turn-off for me, especially when I had such a beaming anticipation about getting and reading this book. Further, rather than providing hope or resolution to the quandary the story has just laid out, he instead pelts the reader with a slew of further questions. To me this is not just a matter of writing style, it is a cruelty, because the reader is left with his heart & mind worried and wounded: can he ever trust his ability to exercise his priesthood and receive reliable / trustworthy divine inspiration? Read the next 354 pages to find out! But not even, because the story on page 6 will probably not be referred to again, let alone its searing question resolved in specific. You see, some will read that partial-story on page 6, and then just set the book down with an awful despair that inspiration may just be an illusion after all. Why? Because they never got the rest of the story. They are left to piece together the concepts that follow in the rest of the book in order to write their own explanation for the story on page 6. Faithful Latter-day Saints deserve much better clarity about an absolutely crucial point of doctrine. A priesthood holder's life revolves around it, as does any sister's. It's not that I am dependent on getting "too easy answers," nevertheless, we can hope for CLARITY, especially about issues that rock the core of a diligent Latter-day Saint's heart. Someone might say, "Well, then just read the remaining 354 pages!" Perhaps. But there's something to be said about the following quote: "If you can't fit your idea on the back of my business card then you don't have a clear idea." Most great ideas are simple. With the issue of 'can I really trust divine inspiration in my life', it would have been nice to be given a clear idea. We didn't get it there at the outset where it should have been. this book is so powerful, it really helps you understand personal revelation, well worth the read. This is the first time I've read Lund, and indeed, he's left a great first impression (pun intended). It wasn't so much that Lund presents new, groundbreaking doctrinal nuggets, he simply paints a collage including personal and others' anecdotes, apostolic and scriptural references, and thoughtful reflection. Perhaps the strongest point in the book is it's easily applicable, and should be applied. My only minor quibble (I stress the word "minor") is that if you're well-versed in Oaks and Packer, you'll be seeing a lot of General Conference material that you probably already have marked up in a box somewhere. But, then again, that's also a great strength to the book. Overall, definitely worth your time. Just make sure to have a pen handy. Get used to the phrase, "Ohhhhh, so THAT'S what it means" because that's what I kept saying to myself. Though I'd heard the truths that are the basis of this book, the way brother Lund explains it made it finally "click" with me. I wish I could afford to give everyone I know a copy. I was very pleased with Elder Lund's treatment of the "revelatory" process. Not only is this book an easy read, it is motivational. I found myself wanting to become and acquire that which the chapters laid out for me. Well-written. Two thumbs up. Wish this had been written years ago! What an amazing book! Having been a member of the church for over 30 years, I wish this book had been around at the start of my journey. It taught me so much. Elder Lund writes so beautifully, is easy to understand, uses everyday illustrations. I would recommend this to anyone and everyone - one of the most enlightening books I have ever read! I'm ready to start again - with a highlighter!!! ...and Brother Lund has so much to teach! His Conference talk in April 2008 offers a taste of this topic. Read the book and partake in a feast of learning. Gerald Lund makes you think as you read this book. Think about where you stand in your relationship with the Lord, and how open you are to inspiration, or just wishful thinking! Full of scripture and quotes from our apostles and prophets, this amazing book builds upon fundamental principles to be applied in our lives. I totally loved this book. So simple to read and easy to understand. Breaks down information about the Holy Ghost and receiving revelation in clear and inspiring form. Loved it! I loved this book. Lund has such a humble and perfect way of explaining truth. 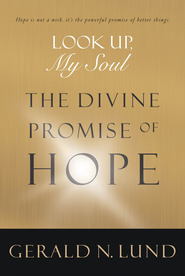 This is a great book that answers alot of common troubling questions about recieving revelation--inspiration from God. So very helpful and inspiring. Gerald N. Lund is a great author and great man that knows much about the Gospel! This is a very clear and well written book. I recommend it to anyone who is trying to understand this great gift we have. This book opened my mind and my ears! It really helped me turn up the volume and listen to the vioce of inspiration. I really enjoyed this book a lot. When I first purchased it I was concerned with it's length and why it would take 350 pages to explain the topic. I am amazed that the concept has so many facets to it. There are so many different and varied explanations not only about receiving revelations, but ways that we prevent ourselves from receiving it. This book was simple and easy to read. Elder Lund provides many examples of how to apply these principles to our lives and I would highly recommend it. I finished reading the book. L love the book! 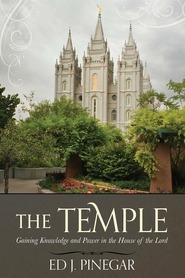 This book should be on the book shelf in every LDS home. I found myself highlighting just about every page in the book. Gerald Lund talks on the delicate nature of personal revelation and its application in our lives. It is a wonderfully written book and should be read more often throughout the year. I know I will be reading the book again and again as it has helped me to understand how personal revelation works in my life. Thank you Brother Lund for writing another bestseller book!